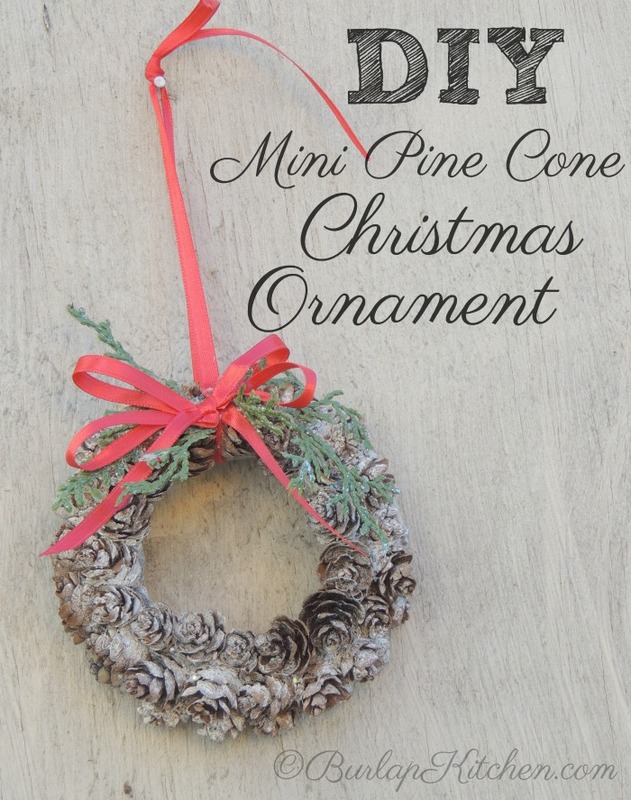 DIY Mini Pine Cone Ornaments are a cute and inexpensive way to spruce up your home for the holidays. 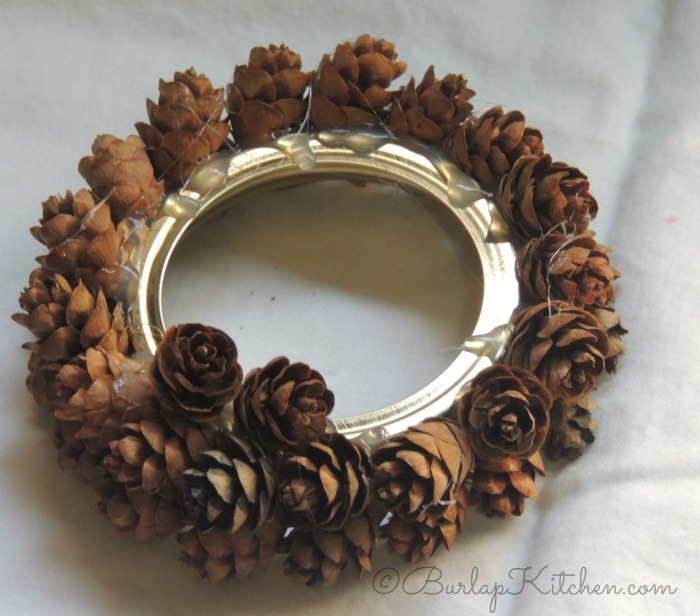 I gathered all my pine cones at a local park and I had plenty of mason jar rims laying around. These also make great gifts! 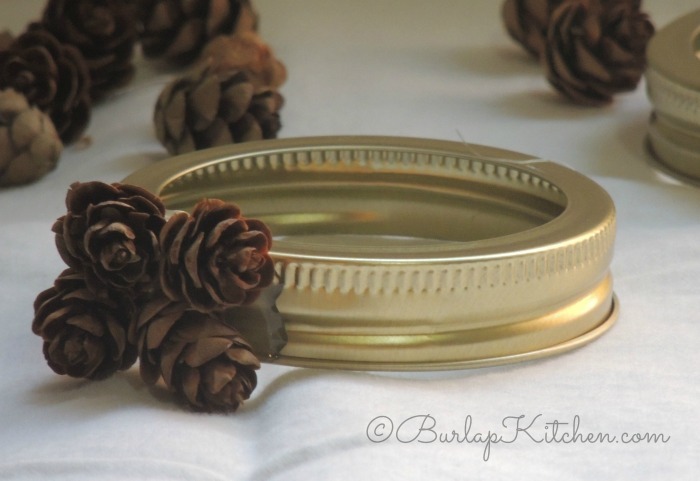 Step 1: Begin by gluing pine cones around the rim of the mason jar lids. The first few are the trickiest, you have to hold them in place for a minute or two until the glue dries and they stick. Once you get the first few to stick the rest go on much easier. If the pine cones are closed it means they are damp. If you lay them on a cookie sheet for a few hours they should dry out and open back up. You can also put them in the microwave for a few seconds ONLY to open back up. 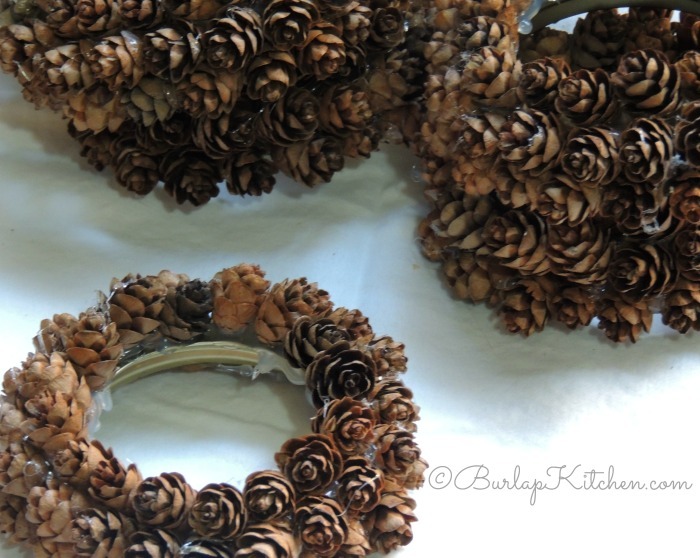 Step 2: Once you finish gluing pine cones to the rim then begin gluing them around the front of the rim. Make sure to hold each pine cone in place for a few seconds so they stay secure. You can pick off the excess glue when you are finished. 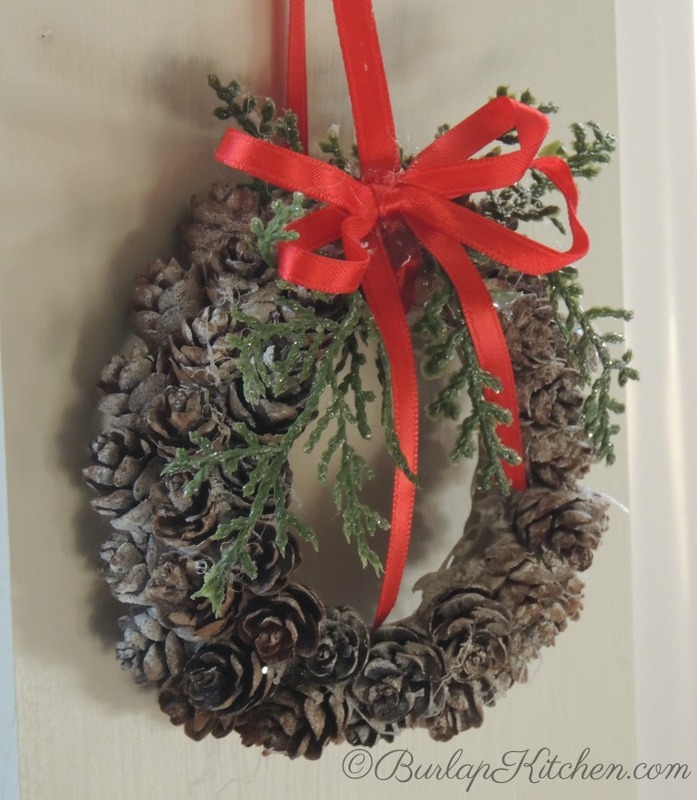 Step 3: Using a hot glue gun, embellish with sprig of pine and red bow for hanging. I also sprayed a little fake snow on them, this is optional. Send us a face book message! 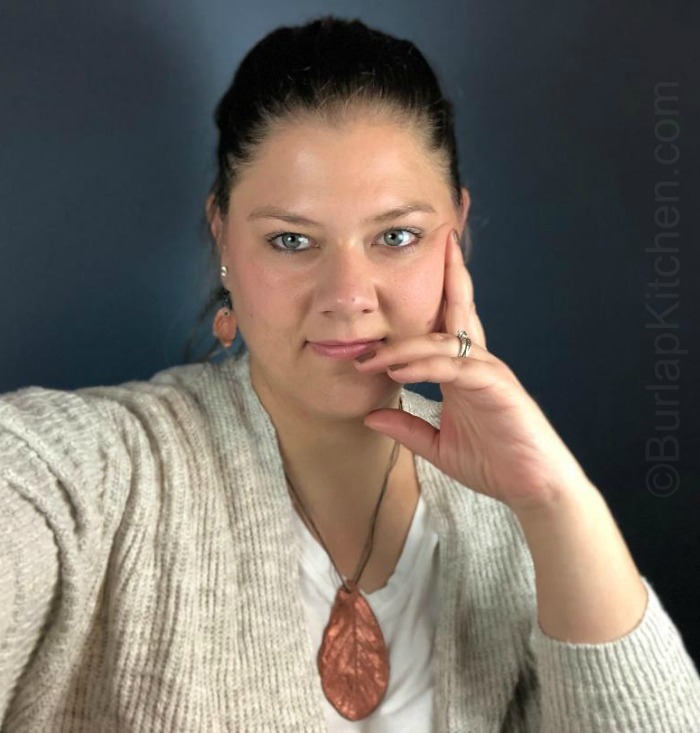 – If you try these DIY Mini Pine Cone Ornaments I would love to hear from you!